You may be able to partially withdraw your Provident Fund (PF) savings even after losing your job, with the Employees’ Provident Fund Organisation (EPFO) proposing a move to create a ‘social security cover’ for formal sector workers. 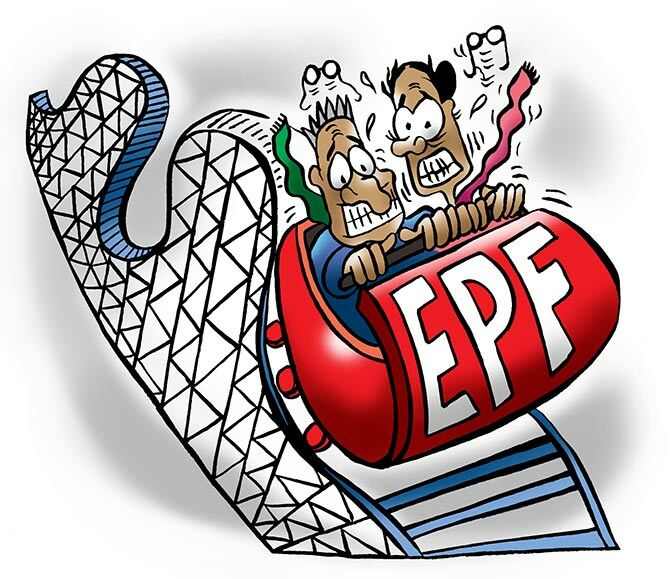 Concerned with the high level of PF withdrawals, the EPFO has proposed that its subscribers - working in the private sector and counted as formal workers - be allowed to withdraw 60 per cent of their total savings, according to the proposal. However, legal experts believe the proposal may be embroiled in litigation. In fact, in some cases, employees may be able to withdraw PF savings equivalent to three months of their salary earned with the previous employer. Employees will be able to draw this ‘advance’ money after remaining unemployed for at least a month. The remaining sum, along with the interest earned on it, will be credited to the workers’ bank accounts at the time of retirement. At present, subscribers are allowed to withdraw their full PF savings after two months of quitting their jobs. Subscribers are also allowed to withdraw part of their PF savings in the case of factory closure, marriage, higher education of children or for medical needs. “It has been observed that large numbers of final withdrawal claims are filed by the members even before attaining the age of retirement. Such withdrawal ends the membership of the person early on and thus, affects the social security of the member and his family,” the EPFO said in its proposal, reviewed by Business Standard. The labour and employment ministry will have to make changes in the EPF Scheme, 1952, through a formal notification to implement the changes. According to an EPFO official, around 80 per cent of the withdrawal claims belong to premature PF withdrawals. The EPFO noted that the present rules do not have a provision for an advance to workers after they become unemployed as it only allows for a full and final settlement. “This situation compels members to withdraw the entire amount at the cost of their social security. Such early closure of membership also goes against the objective of providing social security to the members and the family. Therefore, there is urgent need to provide a social security cover during the period of non-employment,” the EPFO said. However, in case a person remains unemployed for more than three months, he/she may be able to withdraw 80 per cent of his/her savings, along with the interest earned on it, or an amount equal to his/her two months' salary drawn from the previous employer. “There are two sides to it. If a worker is getting a new job in some time, then he/she may like to get the PF money transferred to a new account. However, if the worker is fully unemployed and has no source of income, he/she may require the full PF savings to take care of her needs,” A K Padmanabhan, vice-president at Centre of Indian Trade Unions and a member of the EPFO’s Central Board of Trustees, said. Legal experts said the move, if approved, may be challenged by employees in court. “The intention of the government is to provide social security to workers at the time of retirement. However, it should be left to the workers to decide if they want the money at the time of quitting their jobs or when they retire. "Workers can potentially move court saying the money is a contribution made from their salary and they are fully entitled to it,” said labour law advocate Ramapriya Gopalakrishnan. The government’s previous efforts to curb the complete withdrawal of PF savings in 2016 had failed spectacularly, sparking off violent protests from garment sector workers in Bengaluru. At that time, the government had notified new rules under which employees were permitted to withdraw their own share (12 per cent of the wages). The employers’ share, 3.67 per cent of the wages, would be allowed to be withdrawn at the time of retirement. However, the notification, which was issued in February 2016, was withdrawn by the government in April 2016, following protests from workers in various parts of the country.